Melania Trump sat down for a round of interviews on Monday, and in between claiming that her husband "respects women," she also spoke about what she would do if she becomes First Lady. Her response was that she wants to help teach kids how to navigate the more toxic corners of social media. The irony of Melania wanting to educate kids about the negative effects of social media is ripe and undeniable, given that her husband contributes to that negativity many times per week. 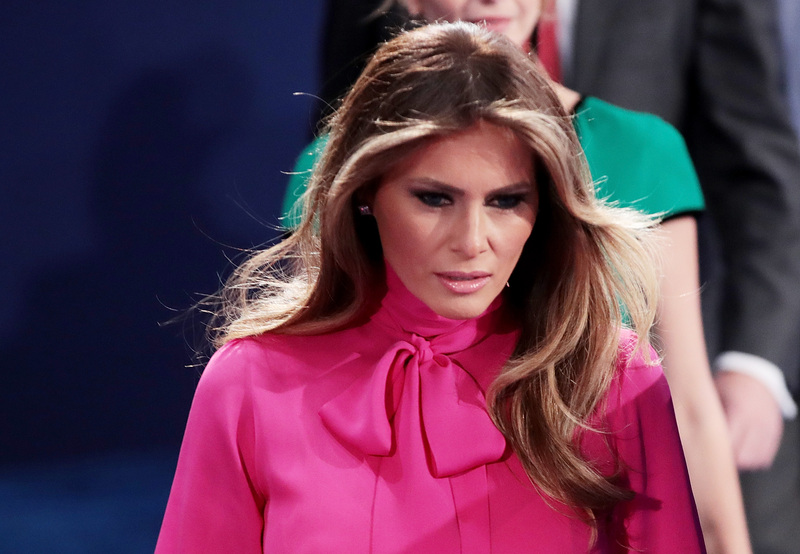 "I see now in 21st century, the social media, it's very damaging for the children," Melania told CNN's Anderson Cooper. "We need to guide them and teach them about social media, because I see a lot of negativity on it, and we need to help them. It has some positive effects as well, because this is the life that we live in now, but has a lot of negativity as well. Because I see more and more children being hurt by it." It's certainly a laudable goal. Social media is indeed flush with negativity, as anybody who has spent several seconds on any social media service can tell you. What's more, that negativity often has tragic real life consequences, especially for kids and teens. It took about five minutes for me to find those examples. Regardless of how you define "negativity on social media," it's undeniable that Trump engages in it habitually and regularly. Therefore, the wife of such a man is not, perhaps, the best messenger for an anti-negativity-on-social-media campaign. When Cooper asked Melania if she's ever advised her husband to "not tweet so much," she replied that she has, but that he decided not to listen to her. "[T]hat's his decision," Melania said. "He's an adult, he knows the consequences. I give him many advices [sic], but you know, sometimes he listens, sometimes he doesn't. And he will do what he wants to do at the end, as I will do what I want to do." Well, maybe Trump should take a listen to this next time around.